NVIDIA will also unleash their GeForce GTX Titan Black graphics card today featuring the full compute power of the GK110 core. 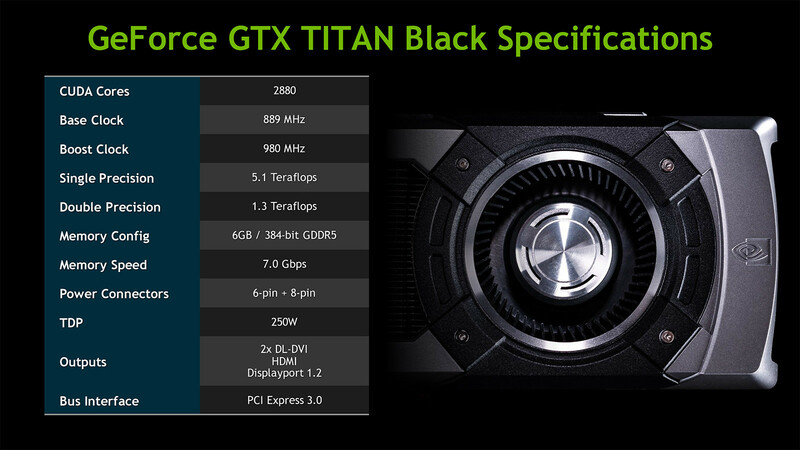 The GeForce GTX Titan Black is the second generation Titan graphics card featuring the GK110 core with double precision cores unlocked and faster clock speeds compared to the GeForce GTX 780 Ti. 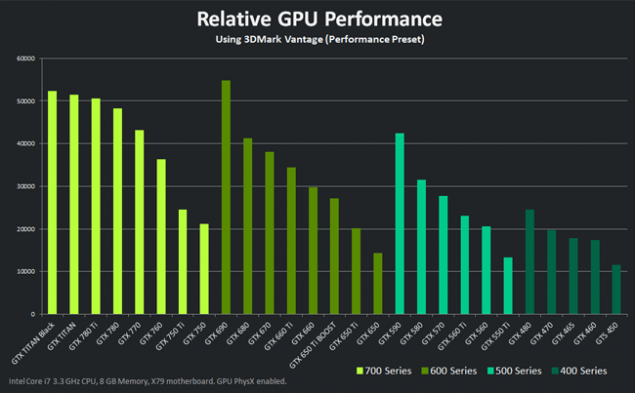 performance CUDA cores, 2668 in count at the time. The GeForce GTX Titan was a great card but came at a big price so it was mostly a enthusiast only product but still outsold the GeForce GTX 690 which was NVIDIA’s Dual GK104 based card available at the same $999 US price range. 780 Ti in AMD optimized titles but runs really hot and loud plus you can hardly find one in the market due to the crypto mining craze. would be insane for a card of this specs such as 7 GHz memory clock and around 889 MHz core / 980 MHz boost. introduce the card in the market.